(AgapePress) - Drug dealing, terrorism, and smuggling are not typically the images that come to mind when you hear the words "Christian Fiction," but in FireStorm (Kregel Publications, 2004) author Jeanette Windle captivates readers with a tale of suspense and intrigue that will keep them glued to the pages. Clyde D. Taylor, Former U.S. Ambassador to Paraguay: "Windle tells a disturbingly credible story that draws knowledgeably on America's war on drugs to weave a plot where religious extremists mount a potentially fatal terrorist threat at an unimaginably soft American target . . When this gripping story is finished, it will leave you more than a bit worried." Chuck Holton, Former U.S. Army Black Beret and best-selling author of A More Elite Soldier: "Jeanette Windle always writes an amazingly complex, realistic and eminently believable story, but it's her mastery of the language that will make you wish the last page would never come. Jeanette is a wordsmith of the first order, and her ability to describe a scene will make it come to life in your mind, and may cause you to literally break a sweat. Pick up any one of her books and she is sure to become one of your very favorite fiction authors by the end of the first chapter." Willard Dickerson, Former Director of Education, American Booksellers Association: "It is said that truth is stranger than fiction but Windle's fiction is so convincing that one hopes desperately that her fiction cannot possibly become the truth. This nail biting novel is so realistic that one wonders if she has read the mind of potential terrorists." Charles Avery, Retired Counter-Narcotics Police Officer: "Jeanette's style . . . is unique and authentic. I must confess I like a happy ending, but Jeanette does a good job of tempering the happy with the truth that life produces both joy and sorrow, happiness and pain, growth and scars . . . life and death." David M. Howard, best-selling author and former director of LAM, WEF, Intervarsity, and Urbana: "Jeanette Windle knows whereof she speaks. Having grown up and served in two of the most violent countries in the world-Colombia and Bolivia-she knows the territory, the culture, the language, the people and their customs. With the eagle eye of a reporter who ferrets out the facts, and the skillful pen of a fascinating writer, she has woven together a riveting and sobering story of international intrigue. This book is frightening unless the reader believes in the overruling hand of God in human history-and even then it will give all of us some disturbingly sleepless nights. I heartily recommend this book as fiction so true to life today that we cannot ignore it." 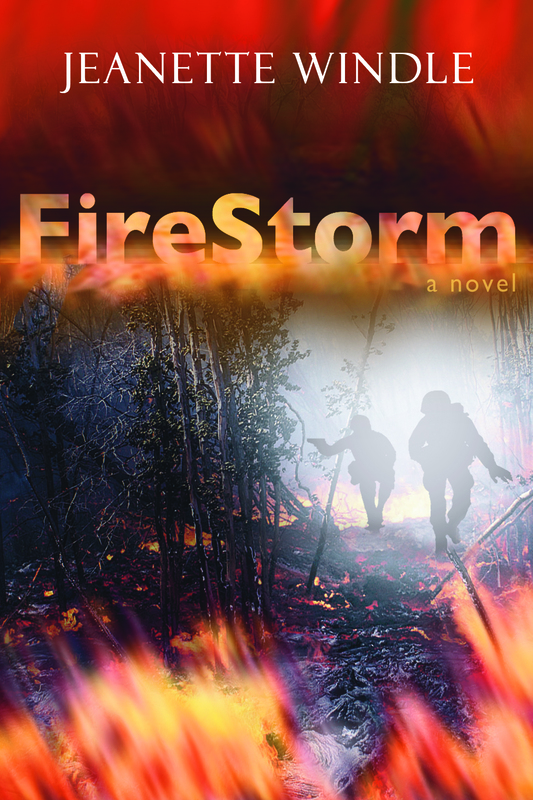 "Robert B. Reekie, co-founder, Media Associates International, Inc.: FireStorm is a captivating and carefully woven story of intrigue. The author's skill in unveiling her characters coupled with her vivid descriptions provide energy and momentum to every page."